Morgan Lynn is a Director at Chick-fil-A Vidalia. She has a heart for coaching and challenging others to better themselves. She has volunteered and been a part of training children in ministry at First Baptist Church Lyons and Connection Church. She has also been the head middle school basketball coach for Robert Toombs Christian Academy for three years. Morgan has been an active member of CrossFit Crazy Strong for the past two years with her family. She has been involved in sports for the majority of her high school and college career. She has a very active lifestyle and physical fitness is an important part of her life. Morgan is excited about the opportunity to coach kids and to help them become active adults. She is a great motivator and passionate about challenging others to give their best. Morgan loves spending time with family and friends. She has become an important part of the CrossFit Crazy Strong family and she understands the importance of having coaches pushing you to be better than you thought you could be. Morgan values the impact that the CrossFit community has had in her life, and she looks forward to building that same encouraging environment in our upcoming Kid!Strong classes. Ethan Morrison is a Sophomore at Vidalia High School. He has been an active volunteer in many youth programs throughout our community, including church camps, WinShape Camp, missions, and at the Vidalia Recreation Department. Ethan has been a member of CrossFit Crazy Strong for the past 2 years, and before beginning his CrossFit journey was involved in other sports as well. He has always been strong in the weight room and enjoyed weight-lifting. Through participation in CrossFit, Ethan has gained an overall understanding of form and functional movements. He has been a part of Kids!Strong and sees the value of an encouraging community to help kids of all ages build confidence and achieve higher levels of fitness. 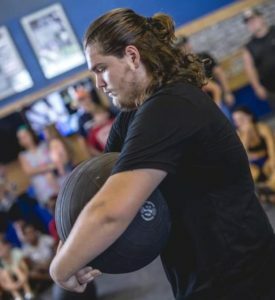 Being a part of Kids!Strong has motivated him to set goals, achieve new strength and fitness personal records, and to live a healthier lifestyle. Ethan looks forward to being a role model for younger students and challenging others as he has been challenged by our CrossFit Crazy Strong family. 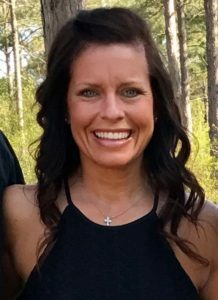 Mindy Morrison is a Sr. Director at Chick-fil-A Vidalia. She has a heart for serving her community and has been doing so for the past 16 years. 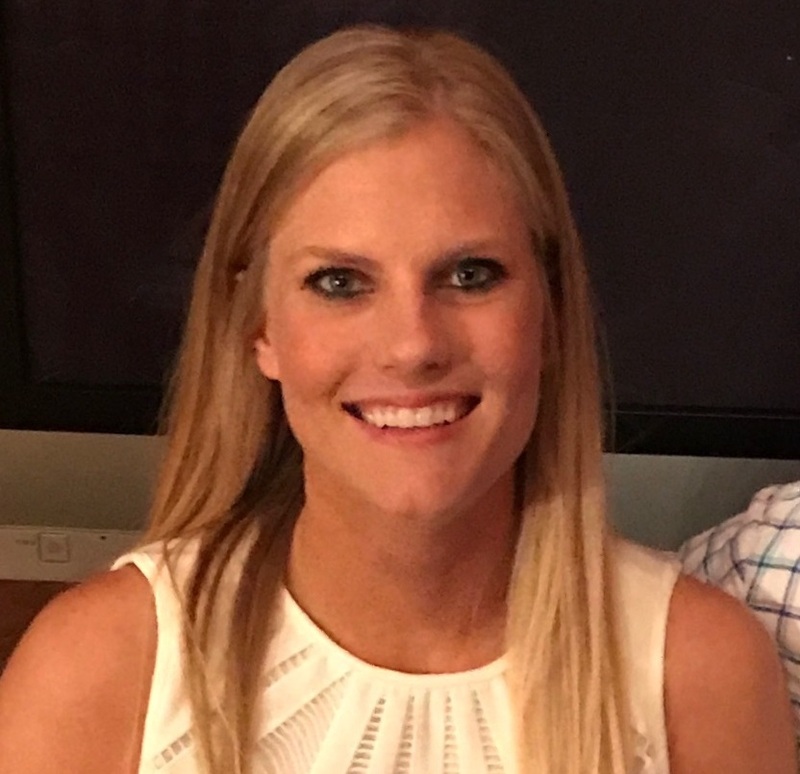 She and her husband, Scott, are very involved with the children’s ministry at First Baptist Church Vidalia where Scott serves as Student Pastor. Through the years, she has worked with children in many different activities at Vidalia Recreation Department. 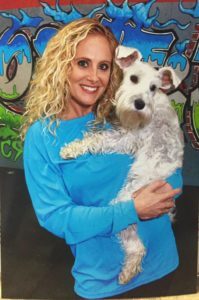 She has been an active member of CrossFit Crazy Strong for the past year, and has been involved in CrossFit type workouts for the past 5 years. With her experience in personal training, Mindy is excited about the opportunity to coach Kid!Strong. She is passionate about challenging kids to become fit and excited about exercise. Mindy has witnessed first-hand, through her own children and other family members, the impact that a healthy and active lifestyle can have on a child’s entire life. She believes that teaching children the value of exercise at a young age will help them to develop healthy habits that can last a lifetime. Mindy loves how her Crazy Strong family encourages each other to work hard and do their very best, and she wants to create that same excitement through Kid!Strong. There are many reasons CrossFit is a great discipline for your children. CrossFit provides an excellent fitness base that prepares kids to excel at other sports. More importantly, it teaches them how be become healthy, fit human beings. CrossFit is entertaining for kids because of the wide variety of disciplines it involves, from weightlifting, to calisthenics, to gymnastics. Kids’ brains are like little sponges, itching to make neurological connections and adaptations. These connections in the brain are made in response to stimuli. The more kids are exposed to new activities when they are young, the more connections and capabilities they develop and retain for the rest of their lives. Think of your own friends who did not play sports growing up. Unless they have consciously worked at it into adulthood, they probably still struggle with coordination. On the other hand, people you know who trained regularly in athletics growing up often have a greater capacity to take on new physical challenges. The CrossFit community is similar to team sports and martial arts in how it can develop children on an emotional level. Kid!Strong will develop sportsmanship, leadership, teamwork, listening skills, self-discipline, and manners. These are all crucial skills that will help kids become successful later in life. In addition, actively participating in physical fitness can make a noticeable difference in the confidence level of children. As their bodies get fitter and their abilities expand, children generally become more physically active and less self-conscious in other areas of life. In addition, having a fitter, healthier body also improves body image and self-esteem. At CrossFit Crazy Strong we hope to instill the value of fitness at an early age. It is extremely important to make sure kids find fitness fun. When children grow up associating exercise with something enjoyable, and when they clearly see the benefits to their bodies, then they are more likely to keep fitness a lifelong priority. Eating healthy becomes a natural choice, and being active becomes something they just do naturally. Enrolling kids in an all-encompassing program like Kid!Strong shows children that health and fitness is something their parents prioritize and want to educate them about. Please consider our program this fall.